For me, foundation is definitely the most important part of my makeup routine. It's something I always wear, something I'm willing to spend more money on and something that makes me feel more confident! With this being said, it probably won't come as a surprise to you that I've tried a LOT of foundations and unfortunately, a lot of them have disappointed me. Unlike mascara or lipstick that tend to be pretty standard across most brands, foundation can be very hit or miss. Too cakey, too sheer, too heavy, too matte, too dewy, too expensive - you get the idea. However, I may have found a foundation that I have no complaints about and let me tell you, they don't come along very often. 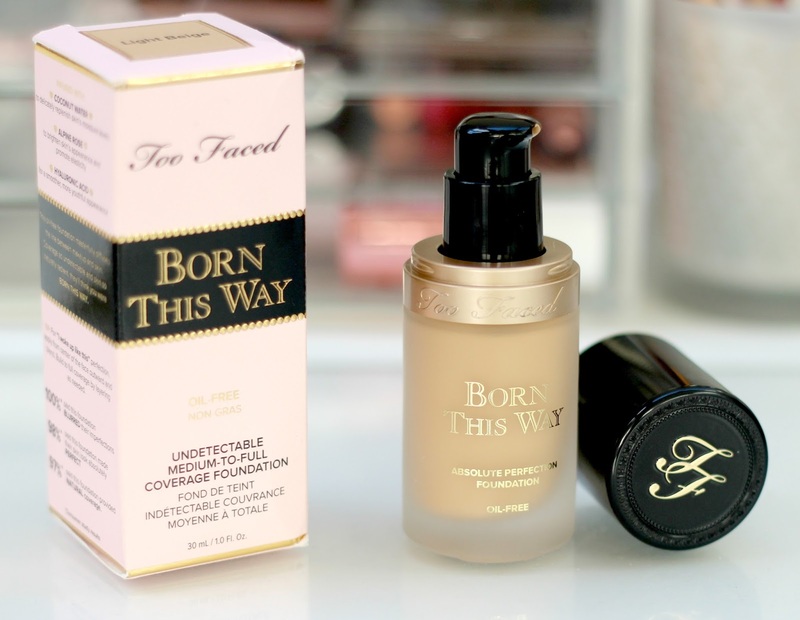 I decided to treat myself to the Too Faced Born This Way foundation after seeing some rave reviews online from fellow bloggers/youtubers and I'm so pleased I did. It isn't the cheapest foundation at £29.00 but as I said, I do think foundations are worth spending that bit more on so I decided to just go for it! It was a bit of a spur of the moment kind of purchase whilst doing a bit of online shopping so I did have to guess my shade but luckily, there was a lot of swatches online and 'Light Beige' looked a good match for my skin tone. Thankfully I picked the right shade as it's a perfect match! 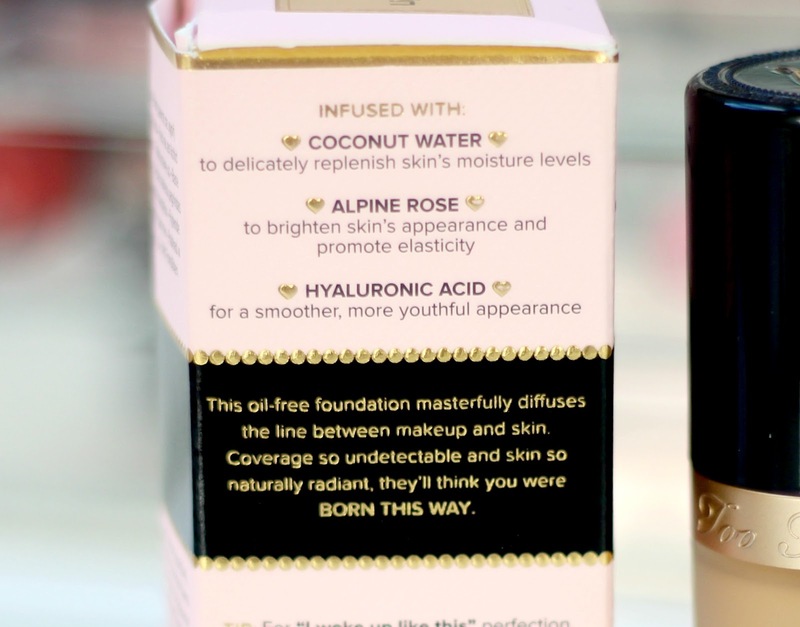 It has quite a yellow tone which is something I always look for in a foundation as I feel it cancels out redness and dark tones better than a pink toned foundation. My first impression on receiving the product was that the packaging is really nice - it's sleek, simple and sophisticated. It comes presented in a lovely pale pink box and the bottle itself is glass which feels nice and expensive with simple gold branding and a black lid. It also has a pump which is a massive bonus for me - it's hygienic and easy to use!! The foundation itself is fairly running in texture and what I would consider a medium coverage. However, it's definitely buildable and I can achieve full coverage with the addition of my concealer and MAC mineralise skinfinish natural powder. I much prefer foundations to be buildable over thick and heavy as I find those kind of foundations are much more likely to go cakey. I love that this gives you the option of a fairly light and sheer coverage or with a bit more product, a more full coverage look for evenings out and what not. Another thing I love about this product is that it doesn't dry my skin out. I've used foundations in the past and left with dry and tight feeling skin after wearing it all day. However, this one actually feels very hydrating on my skin which could be down to the fact it's infused with coconut water and hyaluronic acid which both help to hydrate and plum the skin. I also find the finish is very radiant - not overly dewy (y'know, it doesn't make my face look greasy or anything) but it's definitely not matte either. I'd say it sits somewhere in-between which is exactly what I was after! As I mentioned earlier, Light Beige is the perfect colour for me and I believe there's twelve shades available so there should be one to suit most, if not all, skin tones! 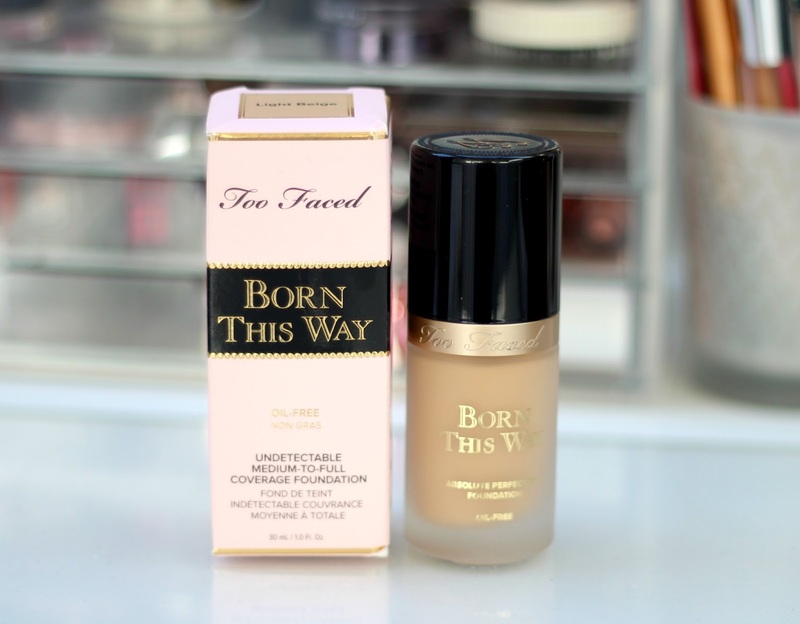 So yes, overall, this is a blooming good foundation and one I'd highly recommend trying out. I bought mine here from Debenhams online but if you prefer to try before you buy, maybe pop in and ask for a sample next time you're passing or if you're in the US, get yourself down to Sephora ;). Definitely one for the Christmas list!! Does this sound like something you'd like to try?! What's your favourite foundation!! I've wanted to try this for ages! It sounds like such a gorgeous foundation! I like full coverage foundations like Estée Lauder DoubleWear and Revlon ColourStay so like the fact this is buildable! Dying to try this out, have yet to read a bad review of it. I LOVE Too Faced - They can do no wrong! Thank your for the lovely review about this foundation. I heard nothing but good things about this foundation so I need to give it a try! I have heard a lot of good things about this product and I am excited to try it out. Next time I need a new foundation I might give this a go. Great Review. Thanks for the review! I see many mixed reviews about this, so I'm glad you like this! Really want to try this foundation, I'm currently looking for something that's in-between matte and dewy so this sounds perfect! I've been on the look out for a new foundation, definitely will have to look into this one now! Great post. I dont think they sell that foundation at Debenhams here in Blackpool.. at least last time I was there there was only a few lipsticks, the bronzer and so palettes from too faced. But this is one foundation that I have been looking forward to try! I think that even though it is £29, it will be worth it and truth be told, there are many other foundations much more expensive than that. Going to give this foundation a try next time I'm in Sephora. this looks really good, a trip to Debenhams is needed now! 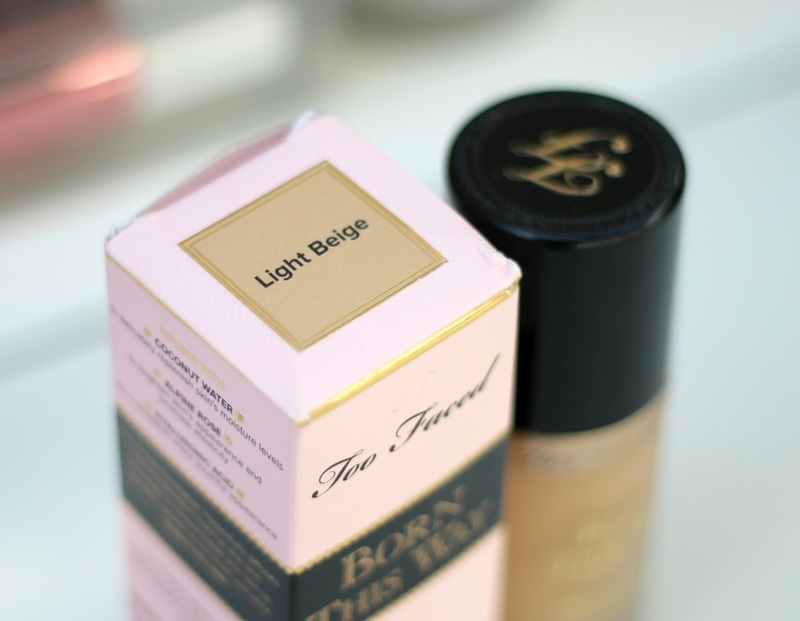 I've been on the edge of picking up this foundation for months now - everyone says such good things about it! Of course, I don't need another foundation... :) I think I might have to at least color match next time I'm at Sephora! This sounds gorgeous, I'd love to check it out! I've been dying to try this foundation, I am definitely going to pop into Debenhams to try and get a sample before I buy. 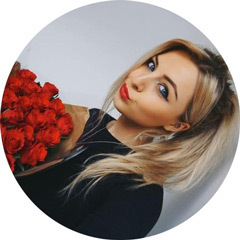 I love this list I started a blog a week ago and this has helped me so much thank you!